Embodying Bulgari’s passion for design and technical craft, the Octo Finissimo Chronograph GMT Automatic carries the crown of world’s thinnest chronograph. Counting the legendary Leonardo da Vinci as an inspirational spirit for the brand, CEO Jean Christophe Babin launched the Bulgari Octo Finissimo Chronograph GMT Automatic to great acclaim at Baselworld 2019. “We can count ourselves among one of the most knowledgeable watchmakers,” says Babin, “Our spiritual master Leonardo da Vinci was a pioneering artist-engineer who envisioned machines that could only be realised decades if not centuries after his passing. Leonardo could not design anything that wasn’t beautiful. 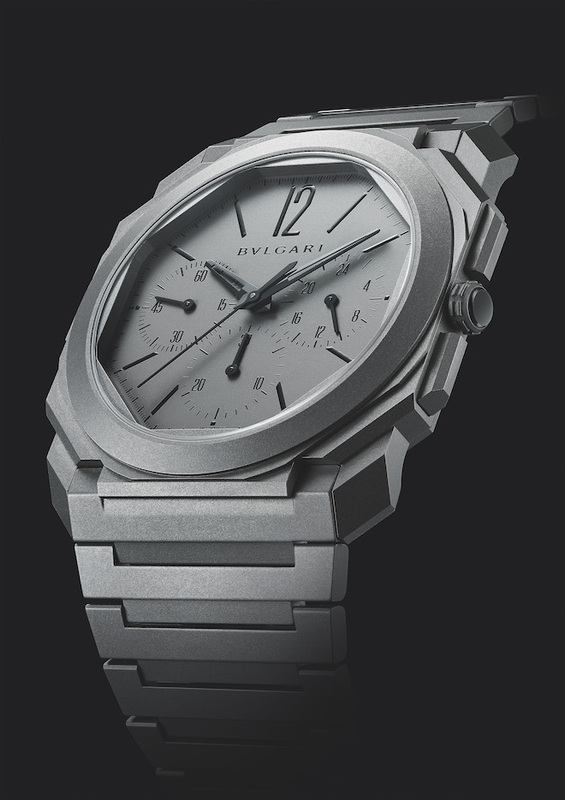 It is this obsessive quest for timeless, daring aesthetics that Bulgari follows, in addition to superlative engineering. 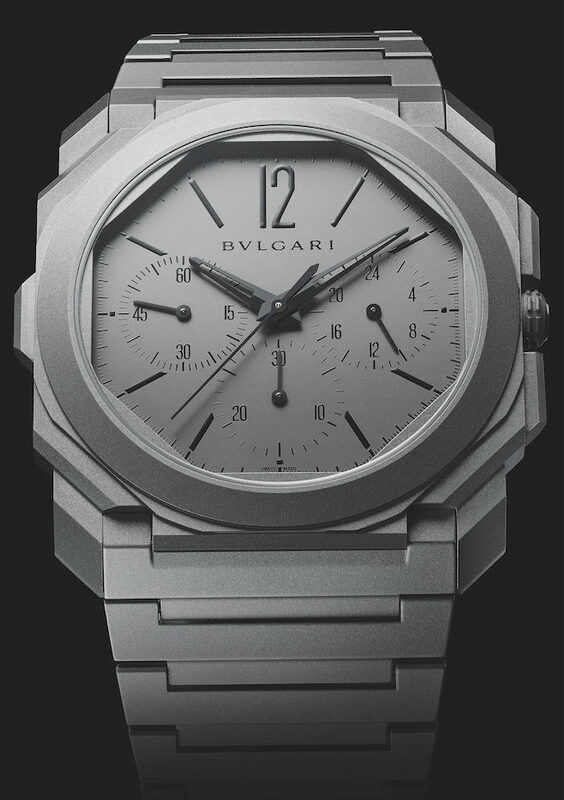 The Bulgari Octo Finissimo story is one of 21st century Swiss watchmaking,” he adds. Slim, elegant, strong, the new Baselworld 2019 Bulgari Octo Finissimo Chronograph GMT Automatic claims a new peak for the Octo Finissimo collection with the setting of a fifth world record – the thinnest ever mechanical Chronograph in watchmaking history. Calling the new Octo Finissimo Chronograph GMT the brand’s “5th element”, the ultra-thin integrated chronograph is the first ever manufacture chronograph calibre for the Le Sentier manufacture and a testament of Bvlgari’s skills in Haute Horlogerie. 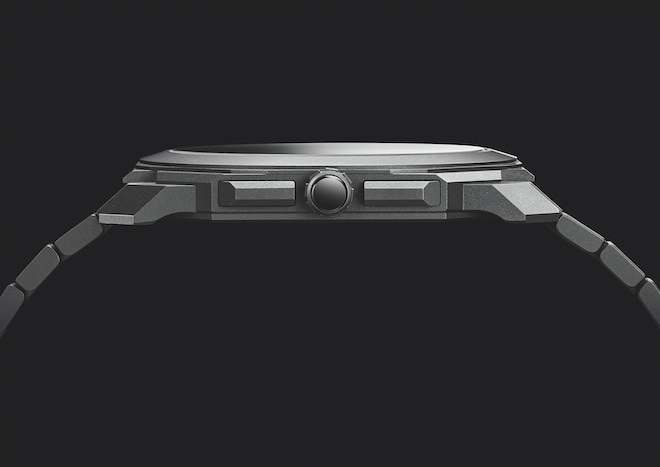 3.3mm thin, it is the world’s thinnest automatic column-wheel chronograph. The new inissimo Chronograph GMT is the quintessence of Octo, a perfect fusion of design and technology in a remarkably thin body. Designed with the utmost utility in mind, Bulgari designed the world’s thinnest chronograph to be paired with a GMT function, arguably the most useful complication in horology’s arsenal. Hence, while the Bulgari Octo Finissimo Chronograph GMT Automatic with a manufacture integrated movement that displays the classical chronograph functions, it also has a GMT function that allows one to set the local time with a button at 9 o’clock. The primacy of the GMT function is evident when the button is manipulated, shifting the central hour hand for the secondary time zone while home time or “time at point of origin” is indicated by the 24 hour subdial at 3 o’clock, keeping the user confusion-free since it tracks day or night on the 24-hour scale. 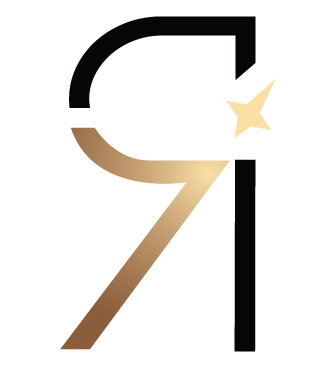 The chronograph minutes’ counter is positioned at 6h, while the small seconds counter is at 9h. 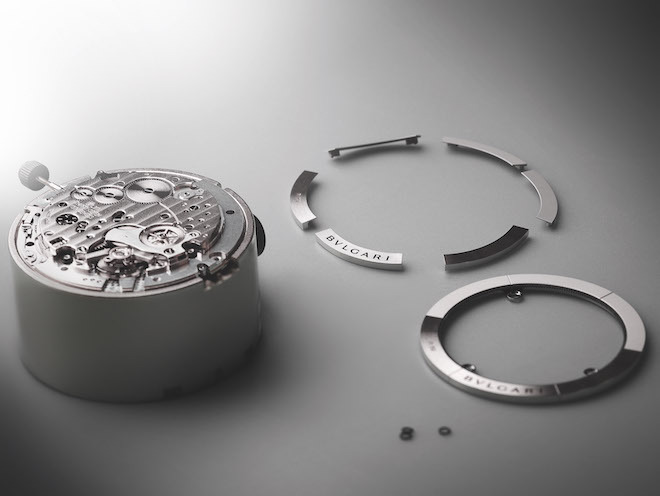 The exquisite Octo Finissimo Chronograph GMT Automatic winds its mainspring through a high efficiency peripheral rotor and what’s evident of the Le Sentier manufacture’s vaunted watchmaking prowess is the fact that despite its ultra-thin architecture, they chose to use a column wheel instead of a more engineering friendly solution – a compact flat heart shaped cam.